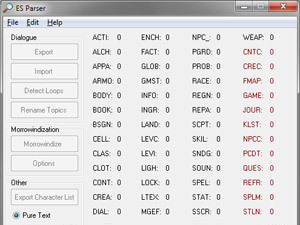 This page contains a pair of editing tools I've written for Morrowind. They are provided in both the compiled and source form, both of which are unencumbered by any licenses. 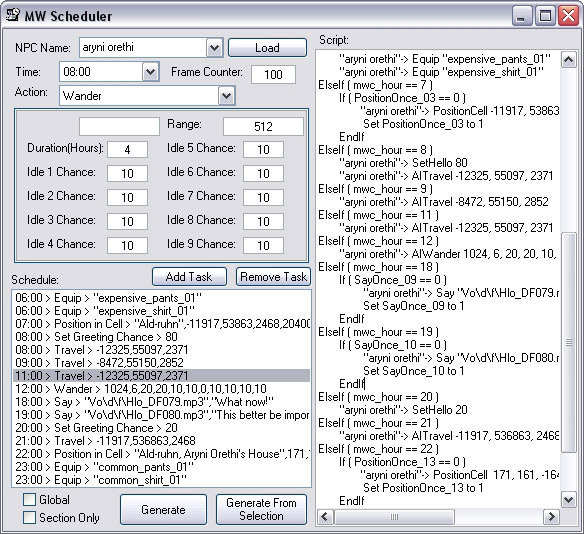 MWScheduler is a small tool that helps non-programmers easily create character scheduling scripts. 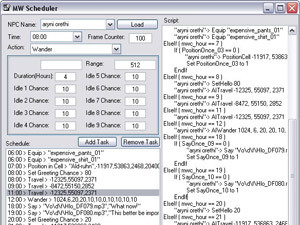 It allows the user to specify time/action pairs and various global and per-action options, then generates a script that is ready to be pasted into the TESCS. As a side effect, it also provides a quick list of relevant functions and their parameters. ESX File Parser, or ESParser, is an integrated set of little tools that I used while working on LGNPC. 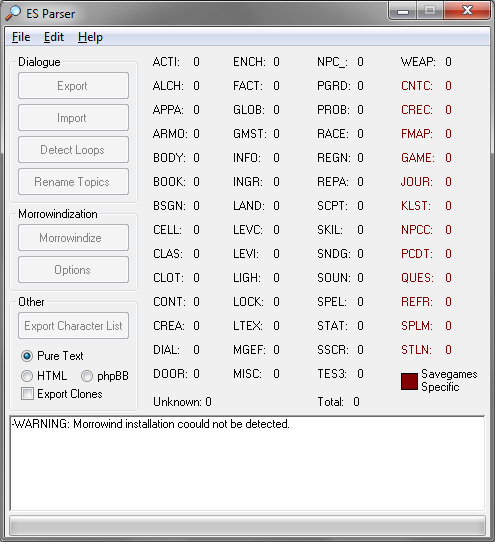 It includes functions such as safely importing/exporting dialogue resources in a number of formats, detecting conversation loops and common typos, enforcing the LGNPC writing style guide, building quote files and renaming topics with reference-correction.